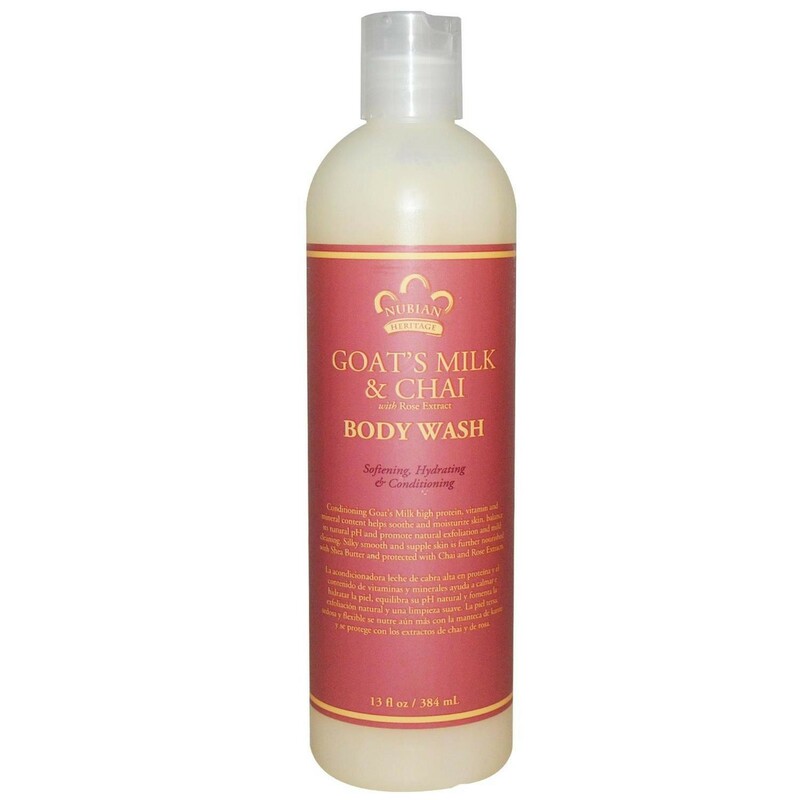 Goat's Milk & Chai Body Wash with Rose Extract. Softening, hydrating & conditioning. Heritage: Featured on the walls of Egyptian and Abyssinian tombs, dating back to 500 BC, the Rose has proven useful in skincare for all skin types. Cleopatra's legendary milk and rose petal baths illustrate milk's well documented history as an ancient moisturizing additive. Chai, the actual word for tea in Swahili, is integral to the cultural and social fabric of many civilizations. Grown on East African family farms, Chai is rich in antioxidants to fight skin damage and premature aging. Daily use will result in softer, youthful looking skin.